If you’re reading this article then you must know about Whatsapp messenger. People use whatsapp to share photo, contents and documents even love to call by voice and video calling. You just need an internet connection on your device to run whatsapp. People always have a complaint against Whatsapp that Whatsapp share photo quickly, but photo quality becomes low on receiving end user. 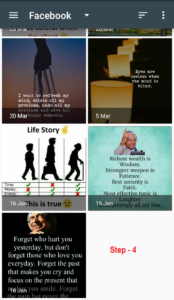 The photos which have been shared in Whatsapp looks well on mobile but when we zoom it the pixel of the image getting spread. 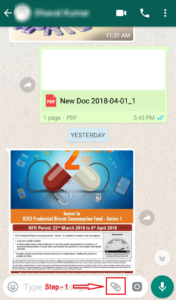 The shared photos in WhatsApp appear lower quality on a laptop or computer screen. Today we are going to talk about that how to send HD photo with original high quality pixel. Share photo like document to avoid the bad quality when you’re going to send a photo in Whatsapp. Here we are discussing a simple way to send full-resolution photos on Whatsapp. You just need to follow below guidelines. 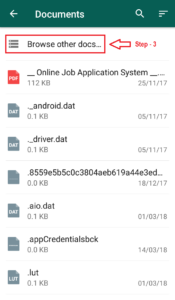 Step 1 – Open Whatsapp in Your mobile. GOTO contact and click any contact that you want to send a photo. Click on the attachment Section of Whatsapp. 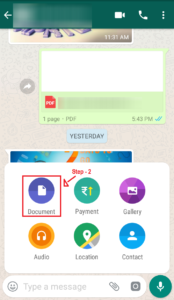 You can see the image button of document in attachment Section. Just tap on the document. Step 2 – Now, the explorer window will open in your mobile. Step 4 –When you click on “Browse other Docs” then you can see the various image files folders stored in your device. Just click on any image folder and then select the image which you want to send. You can select multiple images too, and even convert it into the archive file folder. 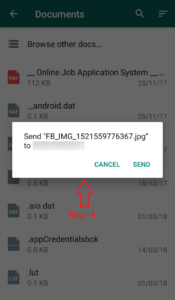 Step 5 – Sending process will start and photo will be sent. 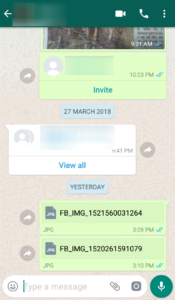 Using this way you can easily share HD quality photo of any whatsapp users.